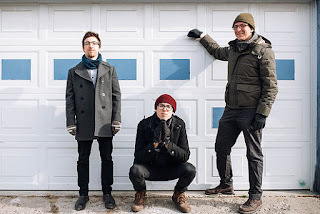 The Jazz Music Blog: Canadian modern jazz trio Autobahn new album release "Of the Tree"
Canadian modern jazz trio Autobahn new album release "Of the Tree"
‘Of The Tree’ is an amalgam of three distinct artistic voices that comprise the Toronto-based trio Autobahn. It is a manifestation of playfulness, spontaneity, dedication and raw energy compiled on one twelve-track album. A year and a half in the making, the final product exceeded all expectations, yielding momentum that is allowing Autobahn to share their music with wider audiences. Autobahn is an ambitious collective trio of musicians who strive to push past boundaries, blurring the lines between improvised and composed music. Autobahn incorporates complex rhythmic structures, soaring melodies and ambient textures to forge their own sound, while captivating audiences with their spontaneous energy. The trio is comprised of pianist James Hill, saxophonist and clarinettist Jeff LaRochelle, and drummer Ian Wright, who are all considered in-demand Toronto-based musicians. ‘Of The Tree’ was recorded at Revolution Recording in Toronto in January 2016. In their desire to bring their music to the next level, Autobahn brought in prominent Canadian electric bassist and composer Rich Brown to produce the record and to share his experience working with some of the group’s biggest musical influences. 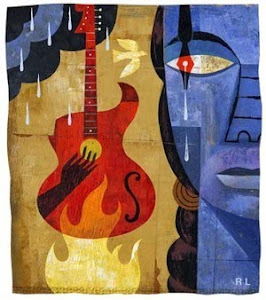 Along with the composed material, the band recorded several improvisations and experimented at length with overdubbing, which resulted in a “double trio” track that gives the album more breadth and diversity. 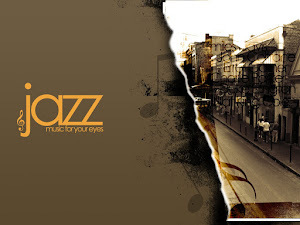 The result is a confident and cohesive full-length album, forging a bold new sound in contemporary jazz. Formed in 2012, Autobahn has had the chance to perform throughout Ontario, Alberta and Quebec, as well as internationally at the Atina Jazz Festival in Italy. In 2014, they released their debut album, The River, garnering a very positive response in the Canadian music scene. In 2015, they had the opportunity to participate in the Banff Center's Winter Musicians in Residence program.